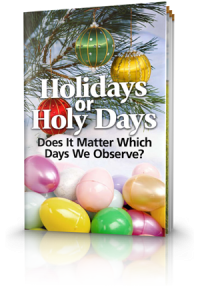 In just under a month we will again for another year observe a series of Holy Days commanded by God which mark pivotal future events for humankind – critical events of the time of the end and beyond. 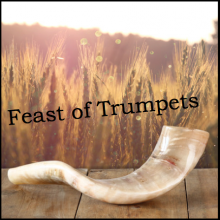 Hear what God says about the next Holy Day soon to occur – the Feast of Trumpets. “Speak to the children of Israel, saying: 'In the seventh month, on the first day of the month, you shall have a Sabbath-rest, a memorial of blowing of trumpets, a holy convocation” (Lev 23:24). The Feast of Trumpets, commanded to be observed on the first day of the seventh month, is the fourth of seven annual Holy Days. In quick succession three more follow and with good reason. The day of Atonement on the 10th of the month, the first day of the Feast of Tabernacles on the 15th, and the eighth day of the Feast on the 22nd day of the month. This eighth day of the Feast is referred to by John in the New Testament as the Last Great Day in John 7:37. 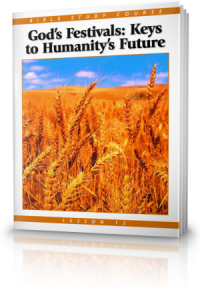 These days represent major events all occurring in the end time and beyond. The events are described in Revelation and the last three are described in Revelation 20. 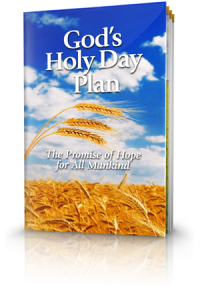 These Holy Days picture the completion of God plan of salvation for humankind. The Feast of Trumpets on the first day of the seventh month represents the events of the Day of the Lord -- the time or the ‘Day’ when God will end this age of man and, from then on, it will be God’s ‘Day’. 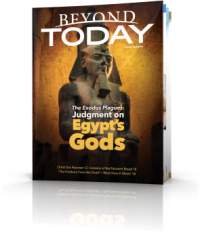 All has been allowed to happen from the time since Adam rejected God and chose to recognize the devil’s philosophy. The Day of the Lord will bring this time to an end. The Book of Revelation as well as Matthew 24 speaks of the events leading up to the time of the Day of Lord. In addition, Paul says this: ‘For you yourselves know perfectly that the day of the Lord so comes as a thief in the night’ (I Thes 5:2). 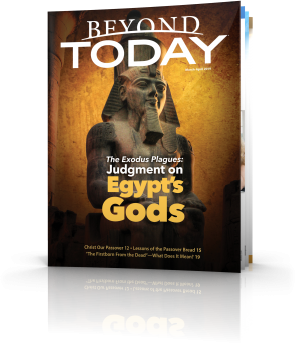 Jesus describes events and conditions that precede the Day of the Lord. He speaks of false teachers, wars and rumors of wars, famines, pestilences, and earthquakes, and even tribulation to precede the Day of the Lord. He said, ‘...See that you are not troubled; for all these things must come to pass, but the end is not yet.’ He adds in reference to the above stated events: ‘all these are the beginning of sorrows’ (Matthew 24:4-8). 'Alas for the day! For the day of the LORD is at hand; It shall come as destruction from the Almighty' (Joel 1:15). God will make Himself known to the inhabitants of the earth. Humankind’s age will end. What events are we witnessing now? Are things getting better, or are we rapidly heading for the time when the trumpets will sound, signaling the worse events man has ever seen? God will intervene and put an end to Satan’s rule and establish His Kingdom over the earth. We have to be watching and we have to be ready. And we need to be observing the Feasts of the Seventh month.